Learn new skills and improve your game! Quality sports coaching for 6 – 16 year olds. 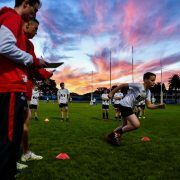 ASC run school holiday Football Coaching Camps across Australia for children of all standards. Improve your skills, have fun and reach for the stars! Click here for more information.